The Roca brothers have reinvented their Michelin-starred Barcelona restaurant. It used to be Moo, and now it's Roca Moo: with the kitchen now in the main room, chef Rafa Panatieri has fewer barriers between the cooking and serving spaces so he can finish dishes right at the table before your eyes. There's also a bar where you can see how they prepare the house specialities, which are their own interpretation of Catalan cooking. 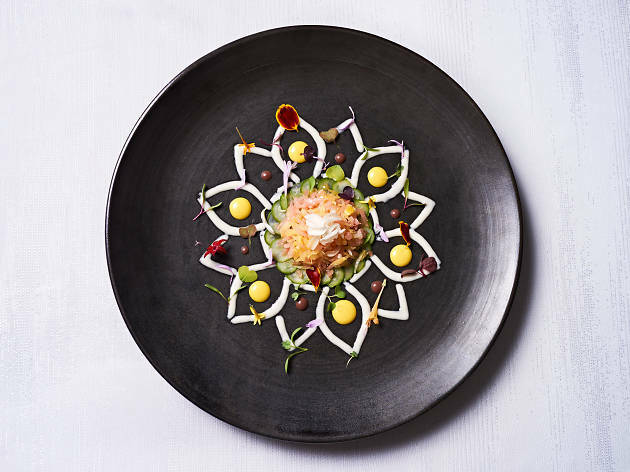 In addition to the menu, you can choose between two tasting menus with pairings: the Los Clásicos and the Joan Roca menu. 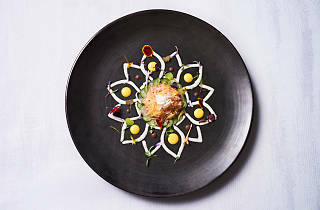 And weekdays at lunchtime you can try their third tasting menu, the Menú Moo, for around €50. Me and my husband were in Barcelona last week, trying the different Michelin star restaurants and we especially liked the Roca Moo, the restaurant of Hotel Omm. We wanted to go there not just for the Michelin Star, also because theconsultants of the restaurant are the Roca brothers, the owners of Celler deCan Roca, one of the best restaurants of the world. 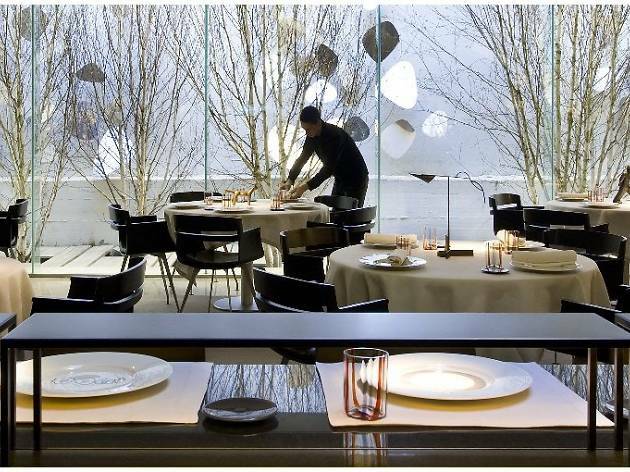 We had already been in Celler de Can Roca, then We wanted to compare Roca Moowith this big restaurant and see if it’s true that you can feel the Roca essencein Roca Moo. 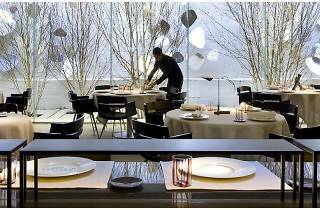 We chose the Classic Tasting Menu, we will try the Joan Roca Tasting Menu next time. The menu was great, the starters were: Mackerel with celery noodles and coconut carbonara, Golden egg Plankton gnocchi in sea pesto and Ravioli of marinated partridge. Later you can try between two dishes, Mediterranean sole “Escudella” of cod fish or Veal shank with truffle, we were two people then we got both, just excellent. After that we got a Suckling lamb with Idiazábal mozzarella, great also, and as dessert we got Chromaticism orange and Cloud. We really recommend this restaurant if you want to feel and experience the Rocabrother's essence in Barcelona.